The past few days here in NYC have been cold and dreary. For me, nothing is more comforting than a nice big bowl of hot soup. 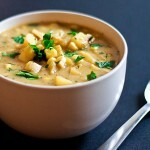 I didn’t have much in my kitchen so today I made a simple corn and potato soup using frozen corn kernels. 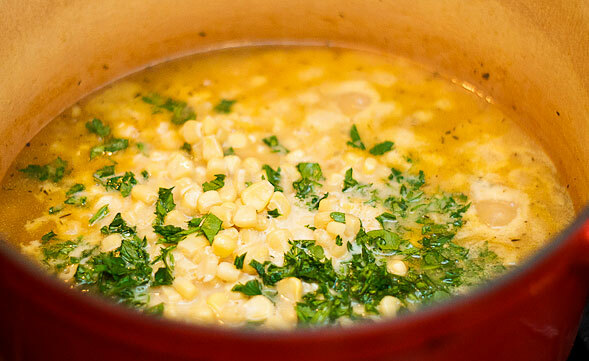 The soup turned out great and with just a tad of sweetness from the corn. Fresh parsley makes for a nice presentation and adds a wonderful herb flavor. 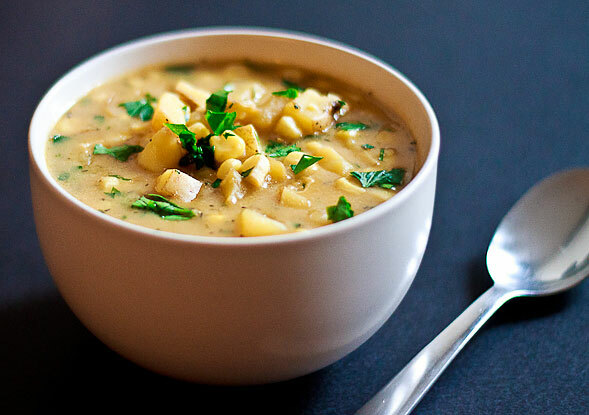 This is a basic soup recipe you can easily alter or add on to. So if you have cooked chicken, add it…if you have peas, go for it! That’s the beauty of homemade soup, you can mix in whatever you please. 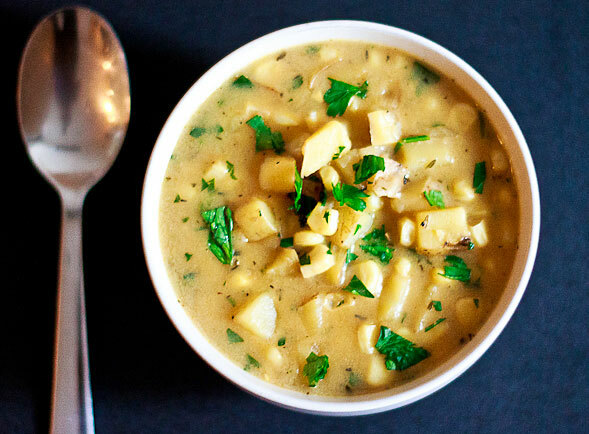 Also, if the soup isn’t thick enough for you, simply mash some of the diced potatoes after they’re cooked and add it back into the soup. For a complete meal, serve with bread or roast chicken with white wine. Saute shallots, then add flour and broth. Add milk, corn and parsley. Cook for a few more minutes. Ladle into bowls, garnish with parsley and serve. 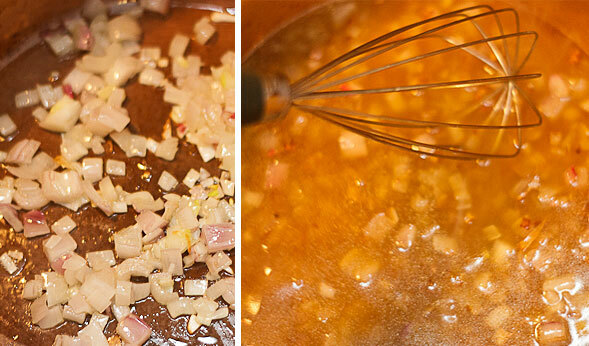 In a large pot over medium high heat, add oil and saute shallots for about 5 minutes, until tender. Then mix in flour. Add vegetable broth and whisk until smooth. Bring to a boil. 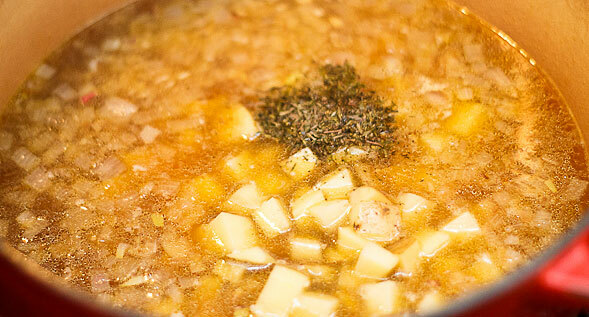 Reduce heat and add thyme and chopped potatoes. Simmer for about 20 minutes until potatoes are tender. Mash some potatoes if soup needs more thickness (optional). Stir in corn, parsley, milk and cream. Cook for another 5-7 minutes, and season with salt and pepper. 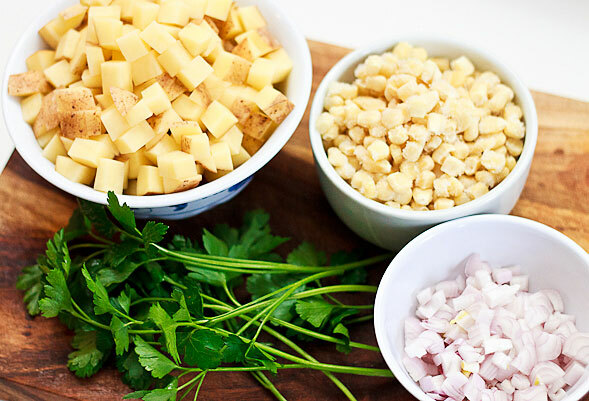 Ladle into bowls and garnish with fresh chopped parsley. Copyright © 2011 Wishful Chef. All rights reserved.